It is widely acknowledged that goats in developing countries fulfill multiple functions and can contribute to improved livelihoods of smallholders. The multi-functionality of goats in rural Mozambique however is fairly unknown. 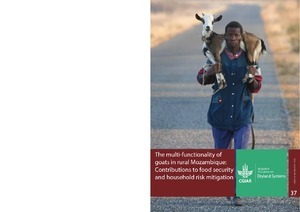 This report identifies and creates a deeper understanding of the multiple functions goats currently play in the smallholders sector in Mozambique. The paper takes a sociological approach by advancing the thinking that the functions of goats are socially and culturally constructed, and not ‘given’. Qualitative data were collected by means of historical timelines in six communities and individual in-depth interviews with 18 smallholder goat keepers (three per community) in Inhassoro district, Inhambane province. In addition, findings of the quantitative baseline household survey (n=83) were used. times of need, 2) exchange for services and products, 3) social life, and 4) consumption. 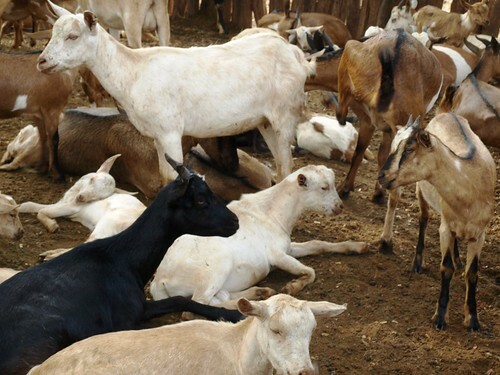 Based on these findings, the paper discusses implications of the multi-functionality of goats for development projects, in which goats can function as financial saving and insurance, as contributors to food security, as contributors to social capital, and as commercial production commodities. Subsequently, the paper addresses a few fundamental questions about projects aiming to commercialize smallholder goat keeping, i.e. linking smallholders to markets.